Pyongyang – The Australian and New Zealand delegation members in North Korea. 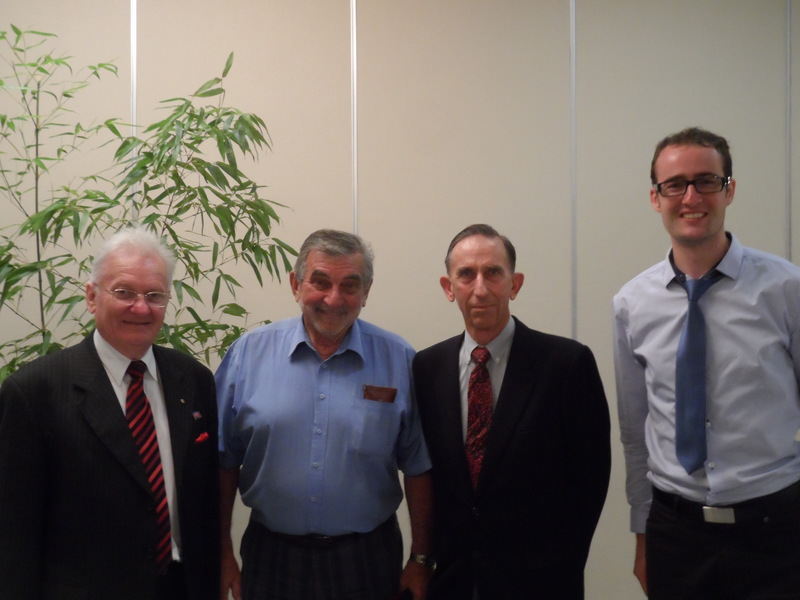 Pictured left to right: Emeritus Mayor Cr Peter Woods OAM, Ambassador for United Cities and Local Governments Asia Pacific, Raymond Ferguson, National Secretary of the Australia-DPRK Friendship and Cultural Society, Peter Wilson, Secretary of the NZ-DPRK Society, and Karim Dickie, Administrator of DPR-Korea New Zealand. Tags: australia, new zealand, north korea | Permalink.